Delia Smith CBE (born 18 June 1941) is an English cook and television presenter, known for teaching basic cookery skills in a no-nonsense style. She is the UK's best-selling cookery author, with more than 21 million copies sold. Smith is also famous for her role as joint majority shareholder at Norwich City F.C. Her partner in the shareholding is her husband, Michael Wynn-Jones. Her role at the club has attracted varying media attention, from positive when she "saved" the club from bankruptcy, to negative, when making a controversial on-pitch announcement in 2005. Already an Officer of the Order of the British Empire (OBE), Smith was appointed Commander of the Order of the British Empire (CBE) in the 2009 Birthday Honours, "in recognition of ... [her] contribution to television cookery and recipe writing". Born to a Welsh mother in Woking, Surrey, Smith attended Bexleyheath School, leaving at the age of 16 without a single GCE O-level. Her first job was as a hairdresser and she also worked as a shop assistant and in a travel agency before starting her career in cookery. When Delia was 16, her boyfriend often complimented her, saying how good her food was. This was the nudge forward which made her take that step into cookery. At 21, she started work in a tiny restaurant in Paddington called "The Singing Chef". She started as a washer-upper, then moved on to waitressing before being allowed to help with the cooking. She started reading English cookery books in the Reading Room at the British Museum, trying out the recipes on a Harley Street family with whom she was living at the time. "Dee" (as she was then known) worked for Carlton Studios, in Fredrick Close near Marble Arch in London, as a 'Pinner'/Home Economist where she worked with photographers such as Barry Bullough and Peter Knab, mostly preparing food for studio photography. In 1969 Delia was taken on as the cookery writer for the Daily Mirror's new magazine. Their Deputy Editor was Michael Wynn-Jones, whom she later married. Her first piece featured kipper pâté, beef in beer and cheesecake. It's not well known that she baked the cake which was used on the cover of The Rolling Stones' album Let It Bleed that year. In 1972 Smith started a column in the Evening Standard. She later defected to the rival Evening News, but she returned to The Standard when that newspaper bought out The News. She wrote for both for 12 years; later she wrote a column for the Radio Times until 1986. Smith became famous by hosting a cookery television show Family Fare which ran between 1973 and 1975. Her first television appearances came in the early 1970s, as resident cook on BBC East's regional magazine programme Look East, shown on BBC One across East Anglia. Smith approached BBC Further Education with an idea for their first televised cookery course. Her aim was to teach people how to cook; to take them back to basics and cover all the classic techniques. Accompanying books were needed to explain not only how, but why, things happen. This led to her three Cookery Course books. Smith became a recognisable figure amongst young people in the 1970s and early 1980s when she was an occasional guest on the BBC's Saturday morning children's programme Multicoloured Swap Shop and did basic cooking demonstrations; she and host Noel Edmonds had a flirtatious way of interacting with each other back then. She purportedly phoned in during the reunion programme It Started with Swap Shop, though that particular "appearance" is debatable. Her television series, "Delia's How to Cook" (1998), reportedly led to a 10% rise in egg sales in Britain and her use of ingredients such as frozen mash and tinned minced beef and onions – as used in her 2008 TV series – or utensils such as an omelette pan, could cause sell-outs overnight. This phenomenon – known as the "Delia Effect" – was most recently seen in 2008, after her book How To Cheat At Cooking was published. Her fame has meant that her first name has become sufficient to identify her to the public and the "Delia Effect" has become a commonly used phrase to describe a run on a previously poor-selling product as a result of a high-profile recommendation. In 2003 Smith announced her retirement from television. However, she returned for an eponymous six-part series airing on the BBC in Spring 2008. The accompanying book, an update of her original best-selling 1971 book "How to Cheat at Cooking", was published by Ebury Press in February 2008, immediately becoming a number one best-seller. Items to have benefitted from the "Delia Effect" include the Kenwood mini-chopper, Martelli pasta and Aunt Bessie's mashed potato. In 2005, Smith announced that she was supporting the Labour Party in the forthcoming election. In 2009, she announced that to help Norwich City's finances, she has "been working extremely hard on another book and TV series." It is to be a retrospective of her 40-year career, "looking at how things have changed". In 2010, Delia's latest television series, Delia through the Decades, was first broadcast on 11 January on BBC2 at 8.30pm. The show lasted for five weeks, with each episode exploring a new decade of her cooking. Her biggest selling book Delia Smith's The Winter Collection (1995) sold 2 million copies in hardback. In March 2010, Delia Smith and Heston Blumenthal were signed up to appear in a series of 40 commercials on British television for the supermarket chain Waitrose. In February 2013, Delia Smith announced that she had retired from television cookery programmes, and would concentrate on offering her recipes online. Having been baptised in the Church of England, she attended a Methodist Sunday School, a Congregationalist Brownie group and later a Church of England youth group. At the age of twenty-two, she converted to the Roman Catholic Church. Her first two short religious books, A Feast for Lent (1983) and A Feast for Advent (1983), are readings and reflections for these seasons. In 1988, she wrote a longer book on prayer, A Journey into God. Delia Smith is married to Michael Wynn-Jones whom she is in partnership with as majority shareholder at Norwich City F.C. . Smith lives in Stowmarket with her husband and mother 'Ettey' who still attends every home game with Delia. Smith has developed other business interests outside of her culinary ventures, notably a majority shareholding in the Championship football team Norwich City, with her Welsh-born husband, Michael Wynn-Jones, with whom she lives near Stowmarket in Suffolk. 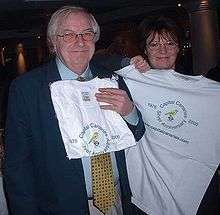 Both Smith and Wynn-Jones were season ticket holders at Norwich and were invited to invest in the club, which had fallen on hard times. On 28 February 2005, Smith attracted attention during the half-time break of a home match against Manchester City. At the time Norwich were fighting an ultimately unsuccessful battle against relegation from the Premier League, and to rally the crowd, Smith grabbed the microphone from the club announcer on the pitch and said: "A message for the best football supporters in the world: we need a 12th man here. Where are you? Where are you? Let's be 'avin' you! Come on!" Norwich lost the match 3–2. Smith denied suggestions in the media that she had been drunk while delivering the speech. In 2008, Smith was reported to have rejected an offer from Norfolk-born billionaire Peter Cullum, who wished to invest £20 million in the club, but wanted Smith and the other shareholders to relinquish their holdings. At a Norwich City AGM in November of that year, however, Smith said that she and her husband Michael Wynn Jones would 'be very happy to stand aside' as majority shareholders if someone came along with an offer to buy them out. Delia also stated that she was never made an offer for her majority shareholding by Peter Cullum. Cullum confirmed Smith's version of events: "Peter Cullum subsequently confirmed that he did not offer to buy the shares of the majority shareholders. He explained the £20m he offered would have been in return for new shares and that money would have been used to buy players, but he had never offered to buy out the majority shareholders." In August 2011, Smith announced that, anticipating her 70th birthday, she was stepping down from her catering role at Carrow Road: "It is now time for a fresh approach and a younger team who, I am confident, will take the business even further." From 1993 to 1998 Smith worked as a behind-the-scenes consultant for Sainsbury's. In May 1993 she and her husband launched New Crane Publishing, which produces the Sainsbury's Magazine and produced Smith's most recent books for BBC Worldwide. Smith was Consultant director and contributed her own recipes. Although Delia and Michael sold New Crane Publishing in 2005, Smith continues to be a consultant for Seven Publishing which now publishes the magazine. In March 2001 Smith launched her website, Delia Online. She uses the site to communicate directly with her fans and offers a growing archive of her recipes. There is also a forum where contributors share recipes, offer advice about cookery skills and where to buy products. The website also contains information about Smith's latest ventures. In the 2009 Birthday Honours, she was appointed a Commander of the Order of the British Empire (CBE), "in recognition of ... [her] contribution to television cookery and recipe writing". In 1996, Smith was awarded an honorary degree by Nottingham University, a Fellowship from St Mary's University College (a college of the University of Surrey) and a Fellowship from the Royal Television Society. In 1999 she received an Honorary degree from the University of East Anglia and in 2000, a Fellowship from Liverpool John Moores University. Delia Smith's Winter Collection (1995) (winner of the 1996 British Book of the Year award). ↑ Lezard, Nicholas (11 December 1999). "Profile Delia Smith: Simmer gently, do not boil". The Independent. Retrieved 13 November 2016. ↑ "Delia Smith: Television cook and food writer". cooksinfo.com. Retrieved 13 November 2016. ↑ "Delia's flour power". BBC News. 25 November 1998. ↑ "Who's backing whom at the election?". BBC News. 21 April 2005. 1 2 "Delia cooking through the decades". BBC News. 10 February 2010. ↑ "Cookson first – but who's that at No 2?". Guardian. 4 February 1999. ↑ "Delia Smith and Heston Blumenthal to star in Waitrose ads". Daily Telegraph. 3 March 2010. ↑ "Delia Smith goes digital – but who else is on the menu?". The Independent. 5 February 2013. ↑ "Delia: I wasn't drunk". Manchester Evening News. 2 March 2005. Retrieved 24 June 2010. Wikimedia Commons has media related to Delia Smith.